The Wallula Gap spans both sides of the Columbia River (Lake Wallula) and is located in southern Washington State, 16 miles south of Pasco, Washington, and is located at approximately Columbia River Mile (RM) 313. Upstream of the Wallula Gap is the mouth of the Walla Walla River and Wallula, Washington, home of an early trading post known as Fort Nez Perce. 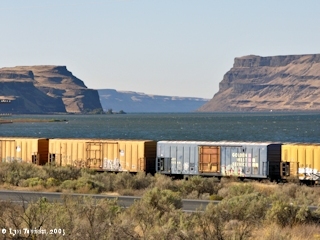 The fort was located at the bend of the Columbia with a view straight down the Gap. Across from the mouth of the Walla Walla at the edge of the Wallula Gap basalts is the former Washington State town of Yellepit, the location of Lewis and Clark's campsite of April 27 and 28, 1806. 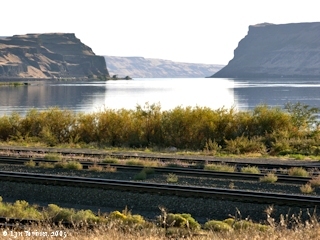 At the head of the Wallula Gap lies Port Kelley and Spring Gulch. Lewis and Clark spent the night of October 19, 1805, near Spring Gulch. "... the river passes into the range of high Countrey at which place the rocks project into the river from the high clifts which is on the Lard. Side about 2/3 of the way across and those of the Stard. 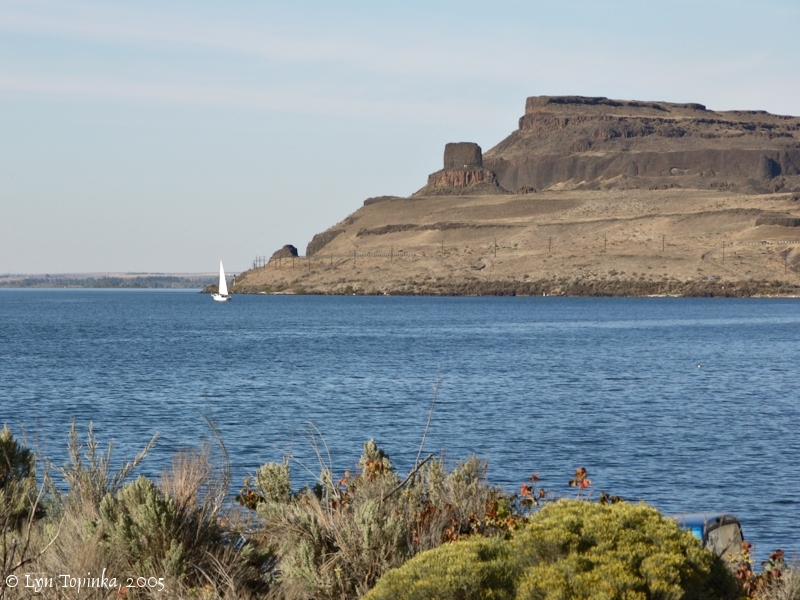 Side about the Same distance, the Countrey rises here about 200 feet above The water and is bordered with black rugid rocks ..."
Downstream of the Wallula Gap lies Hat Rock and the Oregon community of Umatilla. The basalts flows of the Wallula Gap were created in the Miocene Era, over 10 million years ago, and are part of the massive fissure flood basalts of the Columbia River Basalt Group (CRBG). 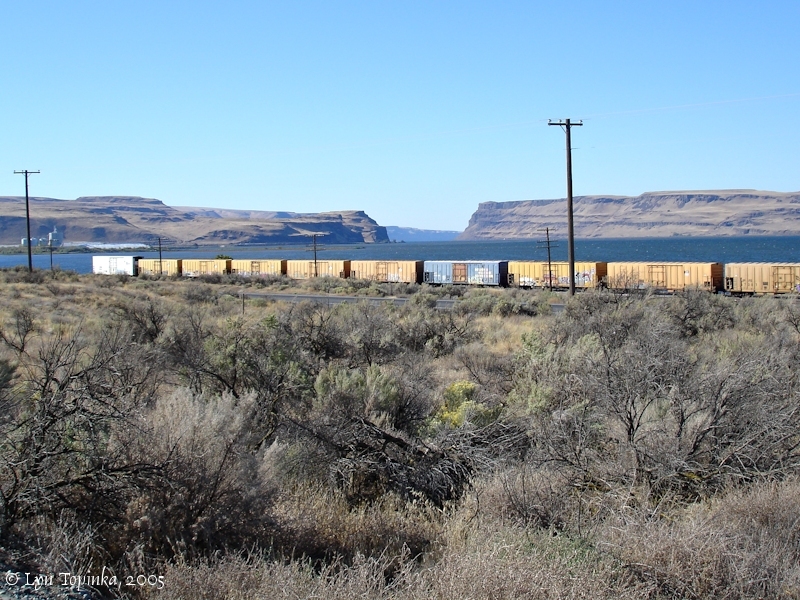 Wallula Gap was created when ancestral Columbia and Snake Rivers flowed through a low area of the basalts. "The story of Wallula Gap begins back in the Miocene Epoch, about 17 million years ago. At that time, lava flows of basalt ran out of giant fissures in the Earth's crust east of here, near the Idaho-Oregon-Washington border. 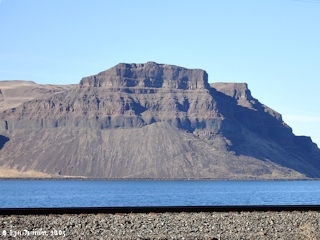 During basalt volcanism, the southern and western portions of the Columbia Plateau, including Wallula Gap, began to warp and fold under stresses deep in the Earth's crust. The bending of the ancient lava flows is clearly visible in the folded layers of basalt exposed in the steep walls of the gap. Early in the history of folding, the ridgecrest here was slightly lower than elsewhere along the ridge. This caused first the ancient Salmon-Clearwater River (precursor to the Snake River), and then the Columbia River to flow across the ridge over this low point. As the ridge continued to bend upward, river erosion kept pace, and a water gap developed. 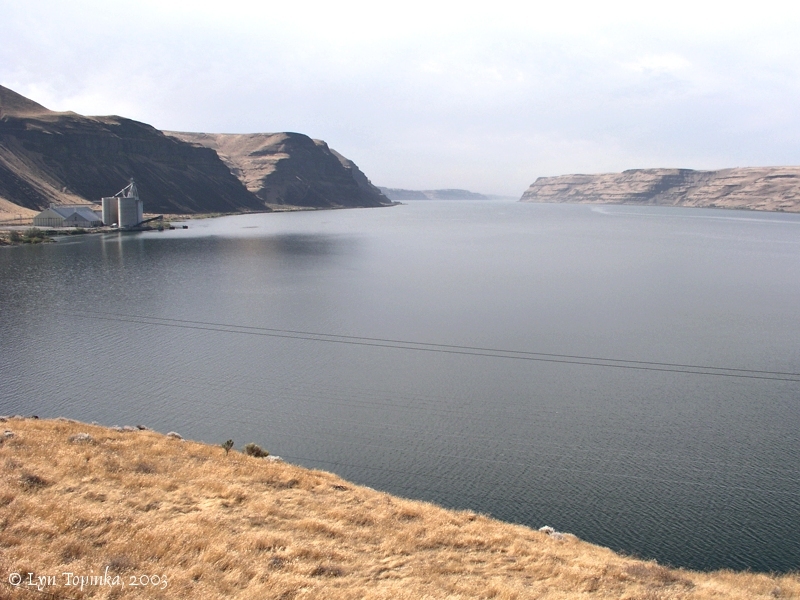 Until about 10 million years ago only the ancestral Salmon-Clearwater River flowed through Wallula Gap. 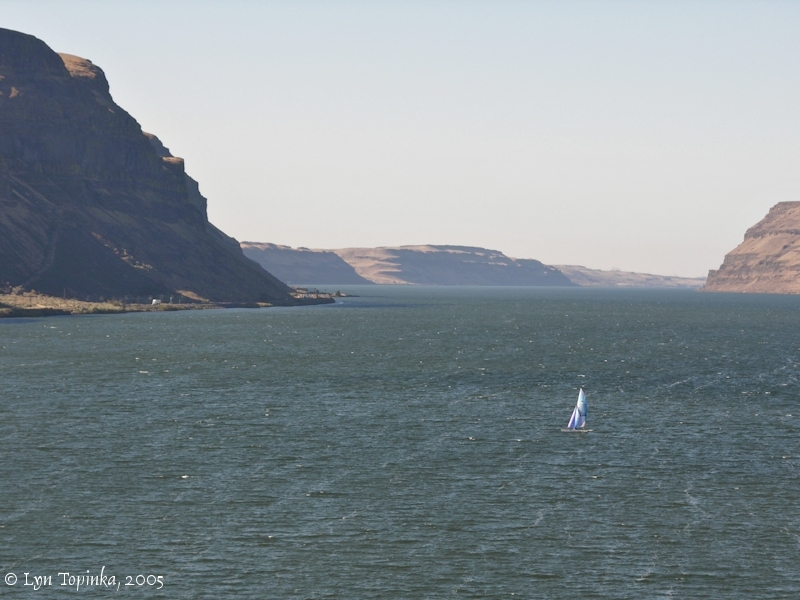 It wasn't until about 6 million years ago that the Columbia River joined in, where it has continued to flow ever since. Somewhere between 2 and 3 million years ago, the ancestral Salmon-Clearwater River captured the Snake River in the vicinity of Hell's Canyon, along the Idaho-Oregon border; this added significantly to the amount of water draining through the gap." Source: Bruce Bjornstad (Geologist), 2005, Pacific Northwest National Laboratory, as presented to the Geological Society of America's annual meeting in Salt Lake City on October 17, 2005. Wallula Gap is the largest, the most spectacular, and the most significant of the several large water gaps through the basalt anticlines in the Columbia Basin, and funneled the mighty waters of the Missoula Floods. The Missoula floods are the largest known floods on Earth in the last two million years; the flow of water was ten times the combined flow of all the rivers of the world. 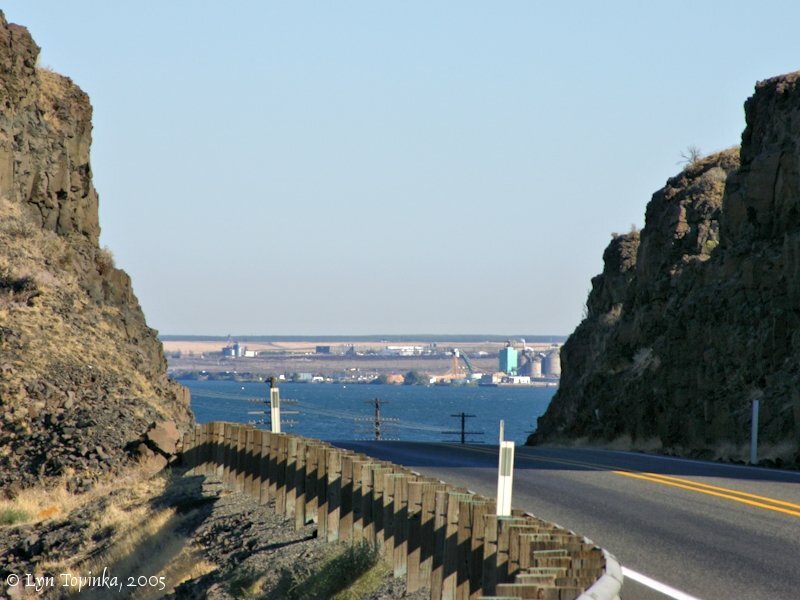 The flood crest at Wallula Gap on the Columbia River at the Washington-Oregon border was about 1,200 feet, as evidenced by glacial erratics that were left stranded on the slopes of the Horse Heaven Hills and other anticlinal ridges. 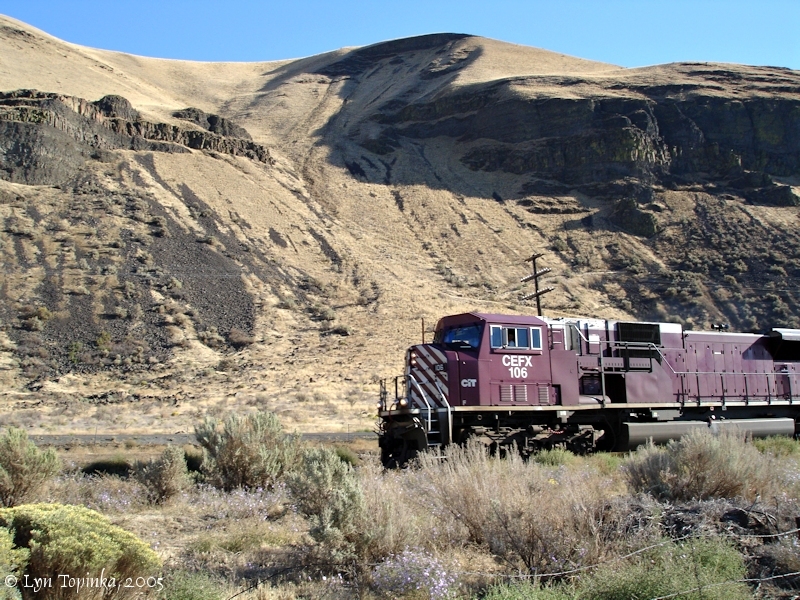 The water that poured down the Columbia River Gorge stripped away soil, surficial sediments, and talus up to 1,000 feet elevation as far as The Dalles, Oregon . By the time it reached Crown Point, the surface of the last flood (there were over 40 individual floods) had dropped to about 600 feet elevation The average interval between Missoula floods was about 30 years, with the last flood occurring about 13,000 years ago. 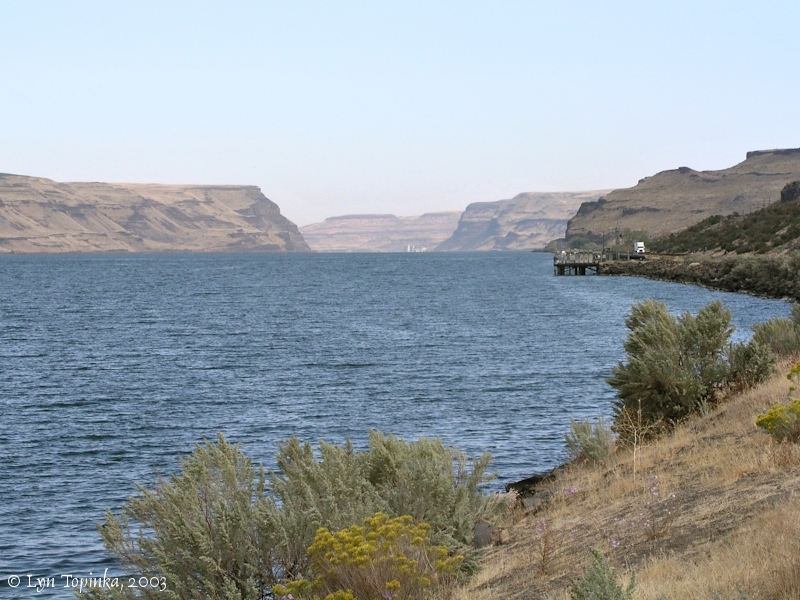 Lewis and Clark first saw the Wallula Gap on October 18, 1805, as they headed downstream from their camp at the confluence of the Columbia and the Snake, the location of today's Sacajawea State Park. The Corps camped that night near Spring Gulch Creek and proceeded through the Gap the next day. Alexander Ross (Adventures of the First Settlers on the Oregon or Columbia River, published in 1849) journeyed upstream on the Columbia River in 1811 and reached the Wallula Gap and the "Walla Walla River on August 12th. In 1838 on the "Map of the United States Territory of Oregon West of the Rocky Mountains" the area of the Wallula Gap had it labeled "Gt. Bend.". Upstream was the "Walla Walla R." and "Ft. Nezperces". Downstream was the "Umatallow R.". 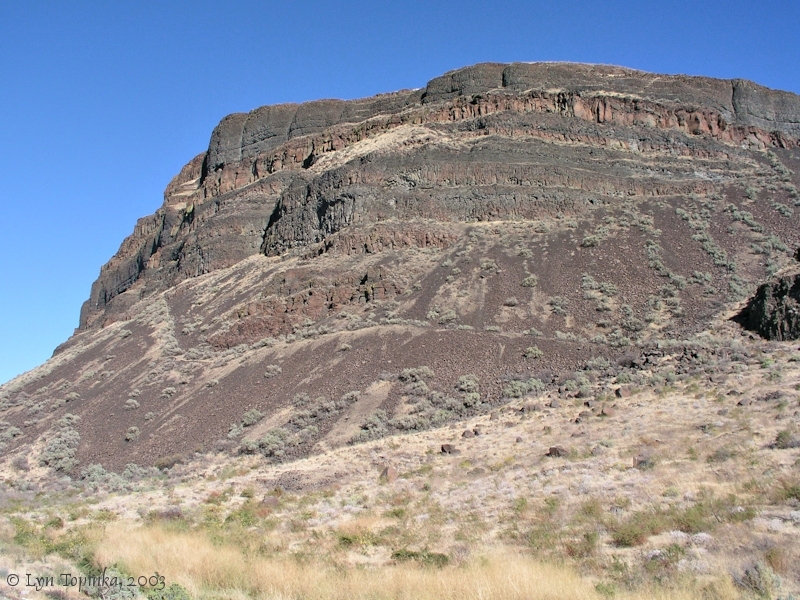 The large basalt ridge across from the Walla Walla River was labeled "Volcanic M."
The Wallula Gap was designated as a National Natural Landmark in August, 1980. William Henry Gray, in his history of Oregon from 1792 to 1849 (published in 1870) wrote about passing through the Wallula Gap. "Castle Rock" is the now historic location of Castle Rock, Oregon, with Umatilla and the Umatilla River located upstream. Nine miles above the Umatilla River is located Hat Rock and Boat Rock. Perhaps one of them is "Windmill Rock" ??? 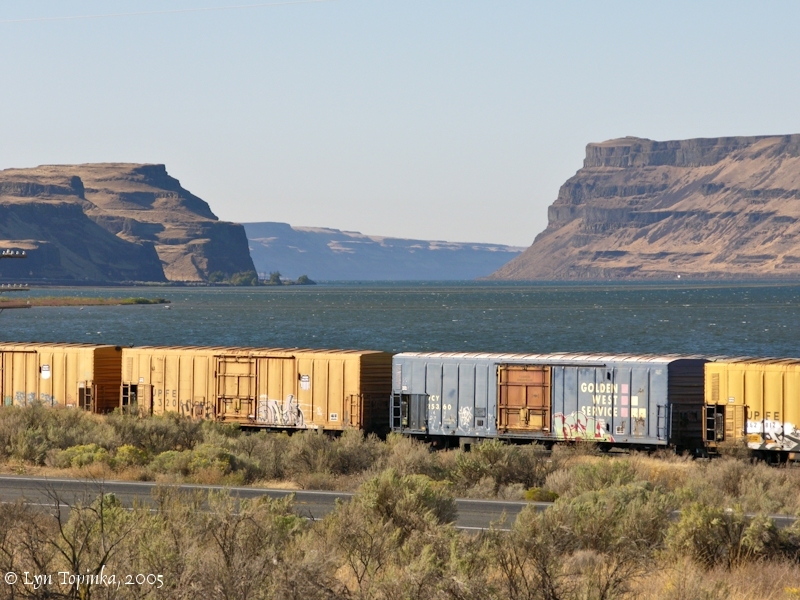 On the east side of the Wallula Gap is the Walla Walla River and the Blue Mountains, a spectacular view when heading east across the Gap. 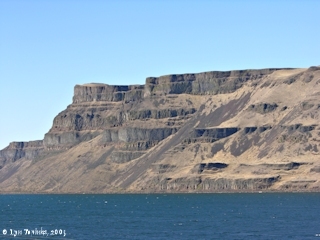 Click image to enlarge Wallula Gap from the east. Image taken September 25, 2005. 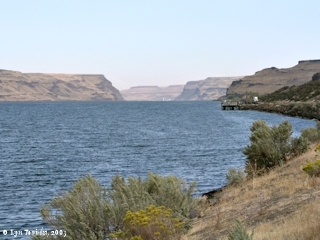 Click image to enlarge Wallula Gap from the east. 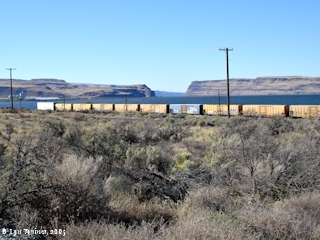 View of Port Kelley, Washington, with Spring Gulch drainage visible (v-shape valley), as seen from Washington State Highway 730, south of Wallula Junction. Image taken September 29, 2003. 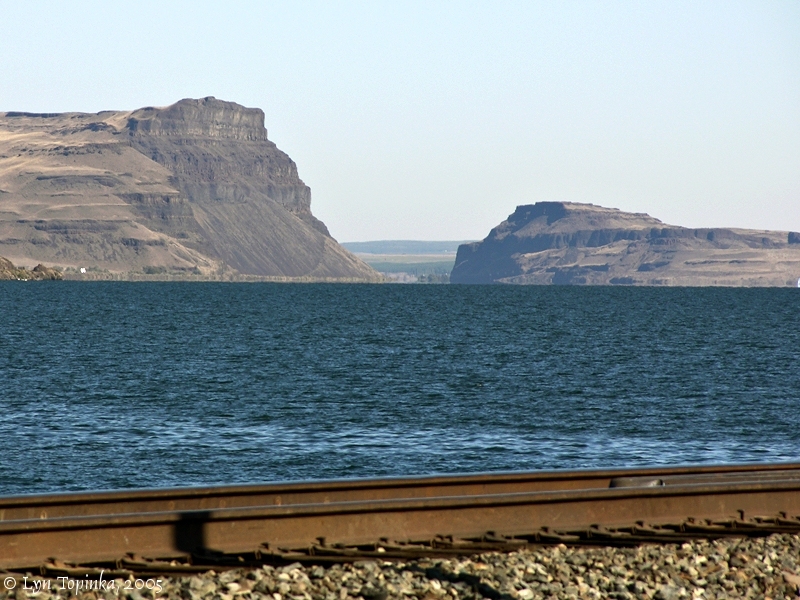 Click image to enlarge Wallula Gap and the Twin Sisters, as seen from Port Kelley, Washington. Image taken September 25, 2005. Click image to enlarge Wallula Gap basalts, with Wallula, Washington in the distance. Right bank, as seen Highway 730. Image taken September 24, 2005. Click image to enlarge Wallula Gap basalts, right bank. Image taken September 25, 2005. 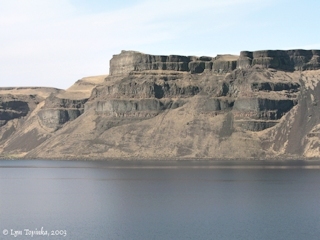 Click image to enlarge Wallula Gap basalt flows, right bank, as seen from upstream. Image taken September 29, 2003. 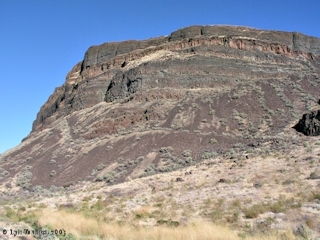 Click image to enlarge Wallula Gap basalt flows, right bank, as seen from Spring Gulch, Washington. View looking across the Columbia River. Image taken September 24, 2005. Click image to enlarge Wallula Gap basalt flows, left bank. Image taken September 29, 2003. "... The Columbia river immediately below Wallula passes through what is now known as the Gap, formed by high cliffs on either side. Just below the Gap, in fact in it, a small island is located. 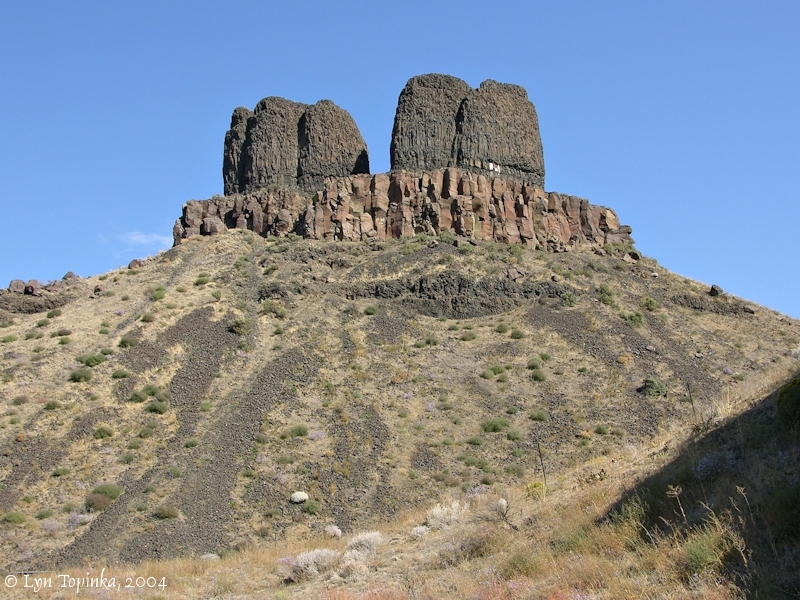 The two rocky cliffs were known to the fur traders as McKenzie's Head and Ross's Head, so called after the two men who built Fort Nez Percees, or Fort Walla Walla as more generally called, in July and August 1818. ..."
Source: T.C. Elliott, 1910, "Peter Skene Ogden, Fur Trader", IN: The Quarterly of the Oregon Historical Society, vol.XI, no.3, p.240, September 1910. The Twin Sisters is a distinctive basalt formation within the Wallula Gap. 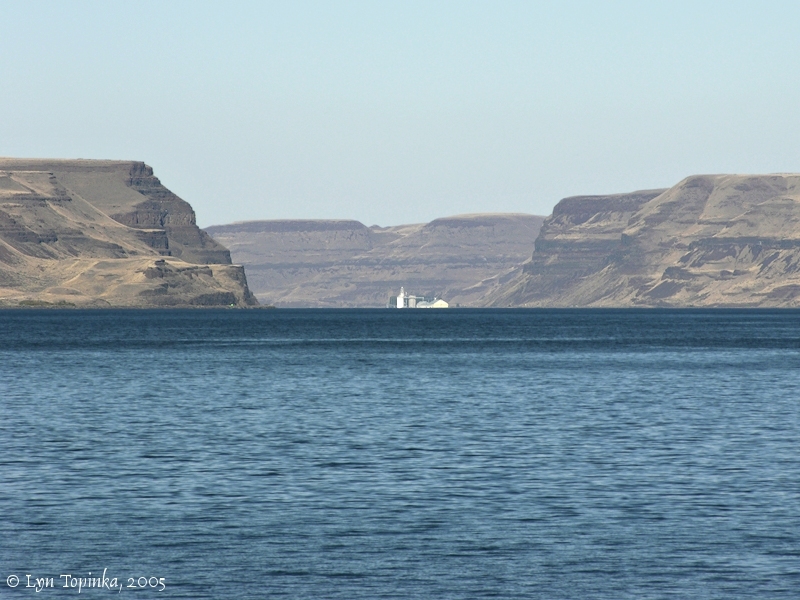 Click image to enlarge Twin Sisters, Wallula Gap. Image taken September 26, 2004. 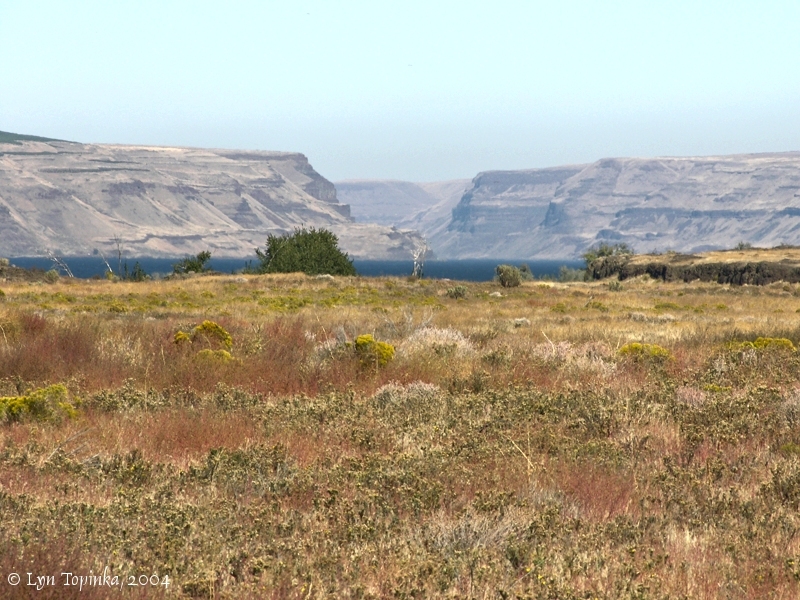 Click image to enlarge Wallula Gap, as seen from Juniper Canyon, Oregon. Image taken September 25, 2005. 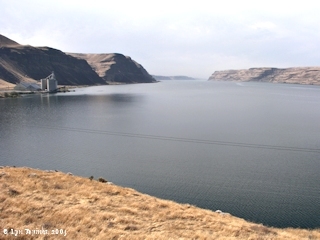 Click image to enlarge Wallula Gap, Washington, as seen downstream from pullover on Highway 730, just east of Sand Station Recreation Area, Oregon. Image taken September 29, 2003. Click image to enlarge Wallula Gap as seen from Hat Rock, Oregon. Image taken September 24, 2004. 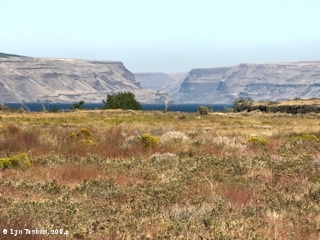 Click image to enlarge Evening, Wallula Gap as seen from Wallula Viewpoint, Wallula, Washington. Image taken September 24, 2005. 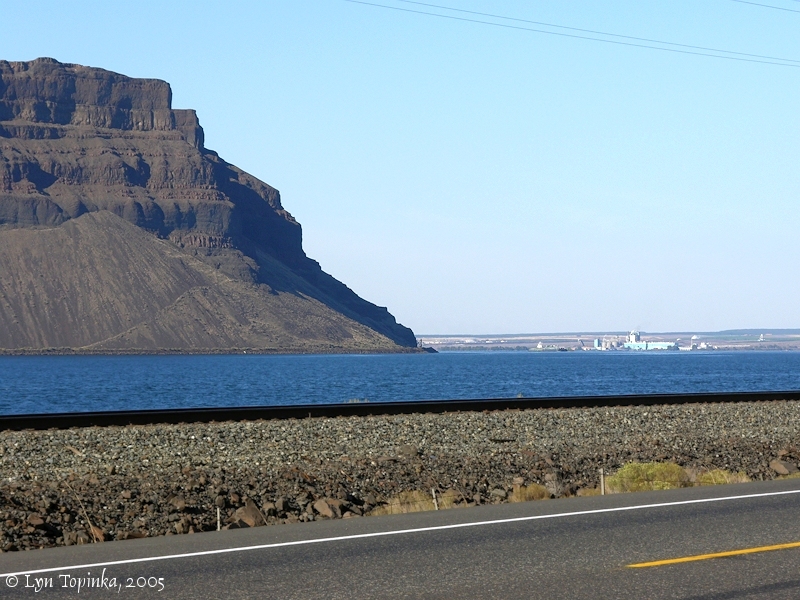 Click image to enlarge Morning, Wallula Gap as seen from Wallula, Washington. Image taken September 25, 2005. 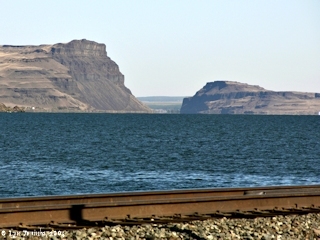 Click image to enlarge Wallula Gap as seen from Wallula, Washington. The mouth of the Walla Walla River is visible on the left. Image taken September 25, 2005.